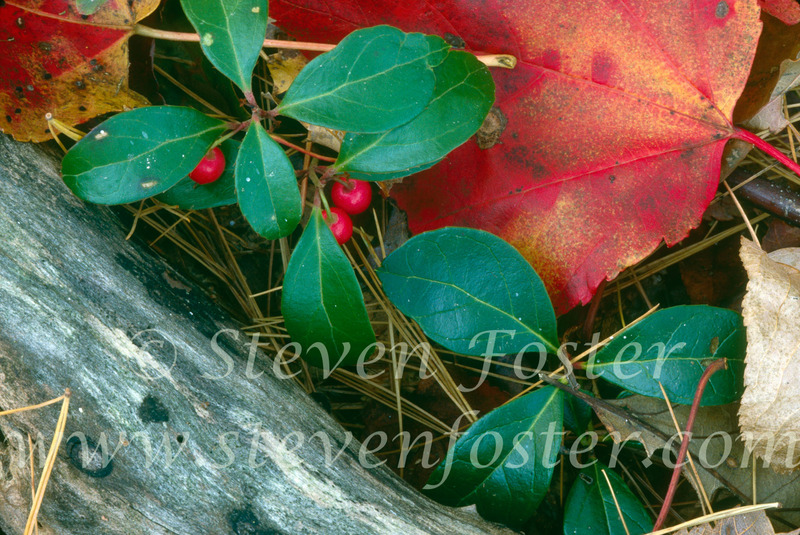 Gaultheria procumbens, Wintergreen, teaberry, checkerberry. Gaultheria procumbens. Wintergreen refers to the evergreen leaves and to the specific flavor produced by methyl salicylate, the chief component of the essential oil. This plant and Black Birch Betula lenta were once commercial sources of wintergreen oil, now largely replaced by synthetic methyl salicylate. Traditionally, leaf tea used for colds, headaches, stomachaches, fevers, and kidney ailments. Essential oil is toxic, even when absorbed through the skin.